QASymphony / Blog / Agile Software Testing – A Must Do, Anyone Can Do! 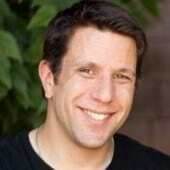 Agile Software Testing – A Must Do, Anyone Can Do! The other week, cPrime held our very first Hackathon, with the goal of debugging cprime.com. I’m sure you’re curious, no, we did not bring on a QA team or developers; we were them for the day. Team members from our entire back office, recruiters, sales, finance, marketing and more, teamed up and learned to use Git and Ruby to write tests in Cucumber and run them with Selenium, with the guidance and patience of our CTO, Joel Brass. Source code was stored in Stash, pushed to Jenkins and Automated tests were run with Saucelabs. There was a lot of sweat, blood, tears, grunts and bottles of wine, but all in the name of good fun and better understanding our customers. Not only that, but by learn by doing, our team truly understood the importance of proper testing, but why the right tools, process and team matter! Unit testing, while valuable to ensure engineering quality, is costly. Unit testing typically tests much more than the current scope for a user. Unit testing cannot identify defects found in functional testing. Functional testing cannot guarantee engineering quality but guarantees product functional quality from a users perspective. From an end user’s perspective, functional testing is more important as, at a minimum, it ensures a working solution is delivered. Note: Unit testing is necessary to achieve engineering quality. This approach does not eliminate the need for the same. 2. Agile teams have adopted automation including BDD and ATDD, to overcome the challenges of manual functional testing. This was supposed to alleviate the challenges but it did not. 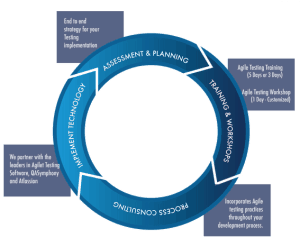 In Agile Development, Testing is meant to be a part of the development process, right along with coding. Code should be tested early and throughout the lifecycle while it is still being developed. Does this sound about right, or could your testing process and tools use a tune up?